When Jose Mourinho came into Manchester United, he was thought to be the guy to finally replace Sir Alex and bring the glory days back to United. We have all seen how that turned out for United. This is Manchester United, the same team that used to strike fear in the spines of their opponents before they even took to the field. United is in total shambles, the defence simply can’t stop conceding while the attack is not scoring enough goals. In fact, United has a goal difference of zero, can you imagine? This team is a shadow of what they used to be under the great Scot’s man, Sir Alex Ferguson. With the appointment of Ole Gunnar Solskjaer, it is highly expected that United will abandon the pragmatic playing style that they were used to under the Portuguese for a more attacking style of play. We are waiting to see if this happens. The Norwegian has been appointed on a temporary basis -- though still early to speculate -- United will be in the hunt for a more permanent manager at the end of the season. There have been reports of Mauricio Pochettino or Zidane taking over the club at the end of the season. But are they the right candidates for the job? Manchester United has proven to be a monster for most managers, pedigree notwithstanding. Who can tame this giant of a club? Antonio Conte is the man United should really be looking at. Why should Manchester United consider the Italian instead of the other contenders? 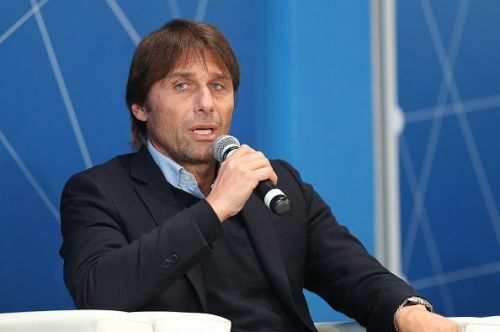 Since he left Chelsea at the end of last season, Antonio Conte hasn’t gotten a new job. There were rumours of him taking over Real Madrid at some point, but that didn’t happen. United should pounce on the opportunity early enough before he agrees on a deal with another club if they don’t want the Guardiola mistake to happen again. Getting him while he’s still out of a job will be much easier than their top candidate (Pochettino). Opinion: Why Victor Lindelof is the most integral unit of Manchester United's spine?